MASTER KEINOSUKE ENOEDA 8th Dan JKA. Interview By Gerry Grey. SPORTS NUTRITION (PART TWO) By Bernard Beverley. KANAZAWA IN HAWAII. By Tony Riccio. INSTRUCTORS SPOTLIGHT. PAULINE BINDRA 5th Dan. SHOTOKAN FIGHTERS: RONNIE CHRISTOPHER & VAL HENRY. STAN SCHMIDT. STORIES AND VIEWS ON KARATE. CLUB PROFILE. DUNSTABLE SHOTOKAN S.K.I. KODOKAI VISIT JAPAN. Report By Keith & Jean Gullen. SHOTOKAN COMPETITIONS & COURSE REPORTS. Of all the 'Letters' I receive, the ones that please me most are from Shotokan practitioners who say that they like the magazine because it is unbiased and that we feature all Associations and all instructors. This was, and still is my aim. 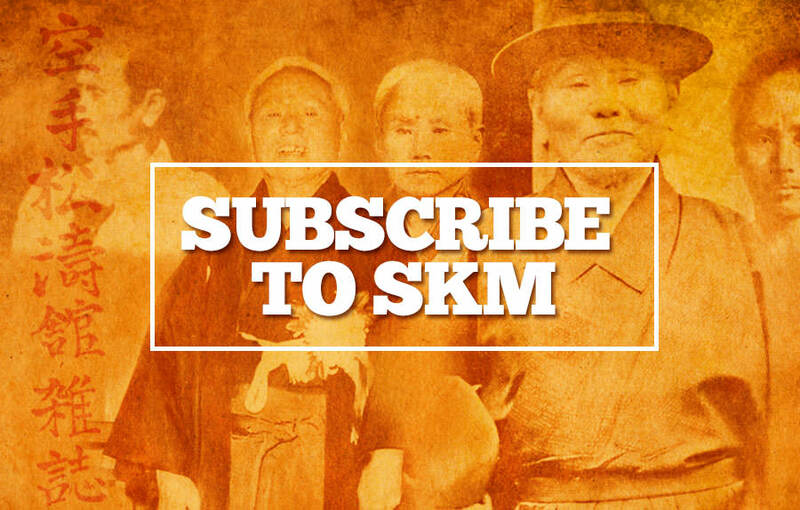 SKM is a specialised publication for ALL Shotokan karateka regardless of which organisation or club you belong to. After all, we all practice Shotokan karate which was brought to this country by senseis Kanazawa, Enoeda, Asano and Kato. If the rest of karate cannot unite, well at least we Shotokan karateka can try, and hopefully through this magazine, get to know the various instructors and Organisations within our Shotokan style, both here and abroad. 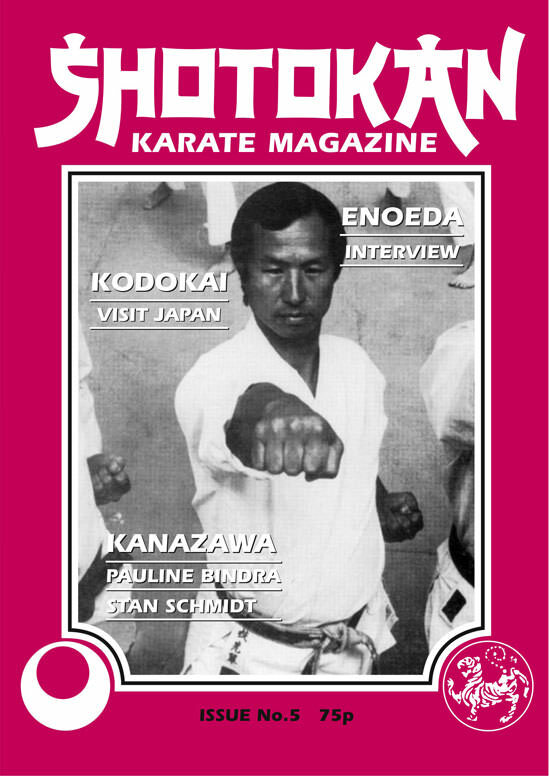 This edition marks the first year since the magazine's conception and I'm proud to say that the circulation is building up all the time as more Shotokan karateka discover the magazine. Shotokan karate certainly gets 'knocked' but it seems that our style is still the most popular in Europe. Read what Sensei Enoeda says the reason is, in Gerry Grey's interview.